The Poetry Translation Centre has been translating Pashto poetry at its workshops with journalist and translator Dawood Azami since 2014. Pashto is one of the two official languages of Afghanistan and Pashto poetry has been praised since the 6th century. This November we will be translating poet Abdul Ghafoor Liwal. With Dawood, the PTC workshop has translated six different Pashto poets including Abdul Bari Jahani, perhaps the most famous Pashto poet, and author of the lyrics to Afghanistan's current national anthem, and Parween Faiz Zadah Malaal, one of the most popular women poets writing in Pashto. To attend this workshop, and the rest in our winter series, follow this link to purchase a season pass. Dawood Azami is an award-winning Senior Broadcast Journalist with the BBC World Service in London. 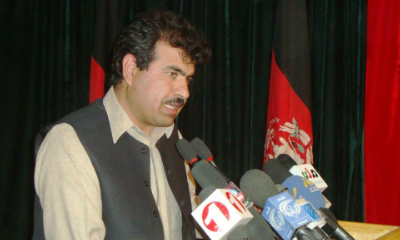 From 2010 to 2011 he was the World Service Bureau Chief in Kabul. A Visiting Lecturer at the University of Westminster, he speaks five languages, writes poetry and practices calligraphy. Edward Doegar is a poet, editor and critic based in London, and the commissioning editor at the Poetry Translation Centre. His poems have appeared in various anthologies and journals, including Ten: The New Wave (Bloodaxe) and Granta. He is a consulting editor at The Rialto, a fellow of The Complete Works and was general manager of the Poetry Society between 2013 and 2017. His pamphlet, For Now, was published by clinic in 2017.